As we gear up for Open House this weekend and prepare to welcome prospective students and their parents to campus, I asked my dad for a parent’s perspective on our fantastic university. As an alumnus of a rival university, he had to be persuaded that my choice to attend Bishop’s was right for me. So here is a look at what it means to be the PARENT of a Gaiter! So your child chose Bishop’s University? Educated at a “larger” university, I found myself asking this question once my daughter had made her decision to attend BU. I can honestly say that I am proud she had the courage to move outside the province and study at BU. She has been surrounded by amazing professors, great friends and a supportive community on campus and within the town of Lennoxville. If I had to go back to university, I would certainly consider BU. This university has an exceptional education model with a superior student to teacher ratio. The professors are approachable and many if not all know my daughter on a first name basis. This is a far different university experience than I had in my Bachelor’s program. The friends that she has made seem to have similar values and goals. There is a genuine sense of pride and school spirit that helps balance the stress of studying and living away from home. I can guarantee you will never regret supporting your child’s decision to attend BU. In fact, visit the campus. Try not to catch the purple fever! Go Gaiters! 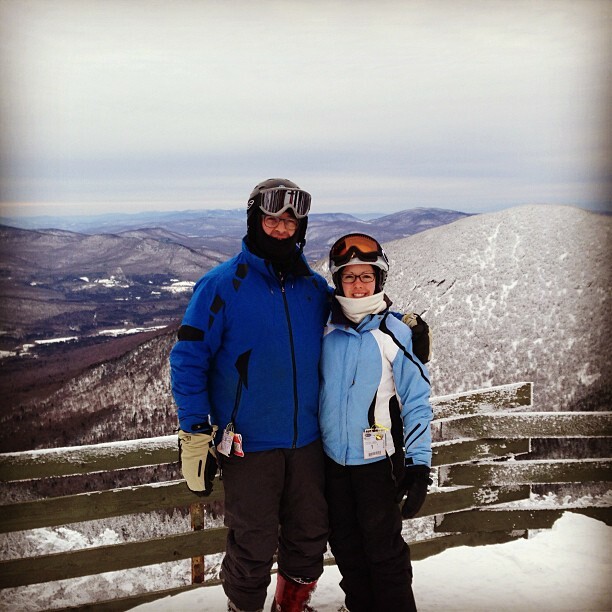 Dad/Daughter Day at Jay Peak! Fabulous Finds For A Foodie!